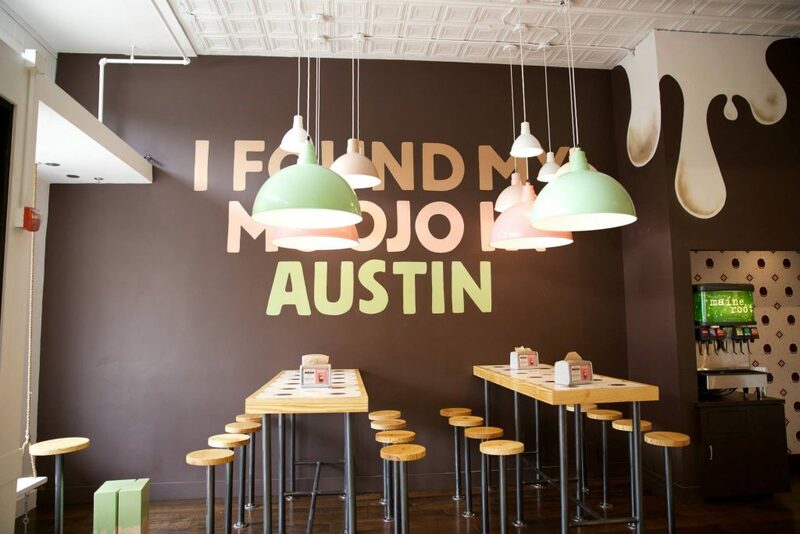 Editor’s Note: Moojo closed on the Drag in January 2019. As of this note, it will continue as an ice cream catering company. 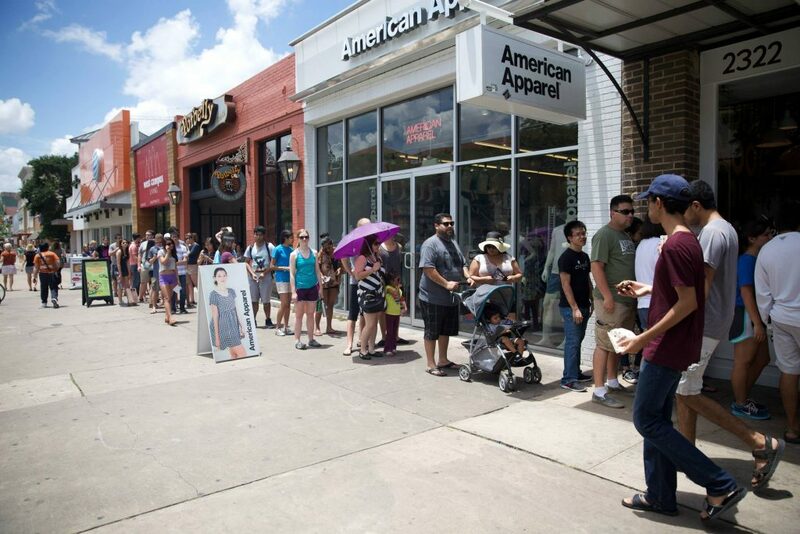 Texas is notorious for its summer heat and no one likes to endure the upper 90 to 100 degree weather. But fortunately, in the heart of town–just across the street from The University of Texas at Austin–is a shop that sells not only refreshing ice cream sandwiches, but moments of joy. I’m talking about the newest addition to the Drag: Moojo. Weldon and his business partners decided to open Moojo because they felt there was an opportunity to work within the ice cream sandwiches space, and that their creamy creations would grow to be a trendy dessert choice. “As entrepreneurs, we jumped on the opportunity,” Weldon told me. “Additionally, we felt we could bring people joy through ice cream sandwiches. With JOY as the core value, it seemed so simple to build the business design and atmosphere off of that.” Austin’s strong food scene and warm weather also made the city a good choice. “The local, delicious and unique style of food here gave us reason to believe that opening up our concept in Austin would force us to think hard about our look and feel. Additionally, selling ice cream in warm weather was important for our first location. There are ice cream shops in colder cities. However, we felt that it was important as a start up to go where people will naturally want ice cream any day of the year,” said Weldon. Moojo’s other business partners, Matt Peterson and his wife, love baking. They concocted new recipes to add to the menu and pitched in to name the business: Mo(ments) o(f) jo(y). 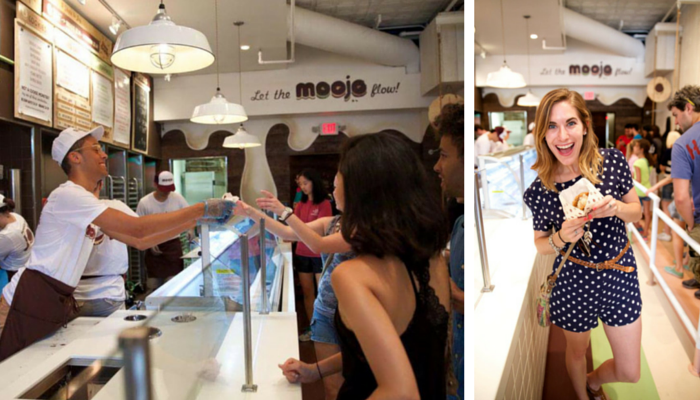 Next time you’re out in the heat, stop by Moojo with your friends and family to cool down with delicious ice cream sandwiches. My personal favorite is mint chocolate chip with white chocolate macadamia cookies. 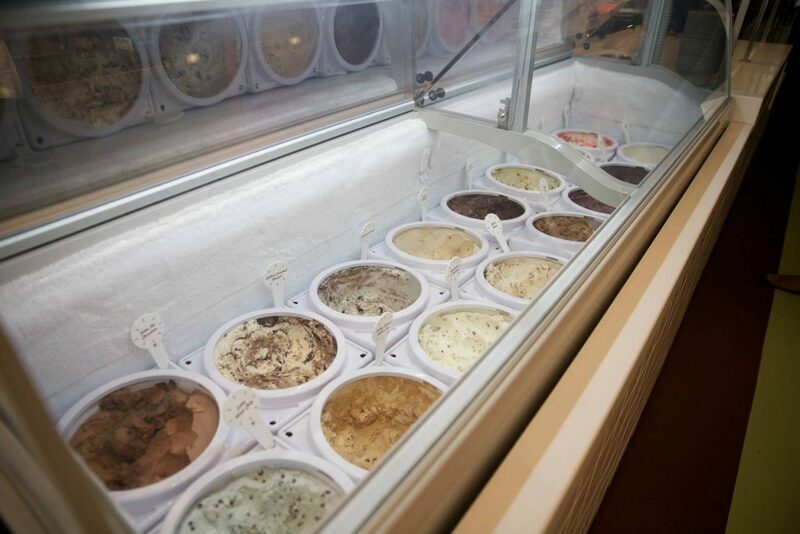 Where do you go when you want a cool treat in Austin? Journalist. Couch potato. Podcaster. Anime lover. Wannabe traveler. Made in Taiwan, grown in Texas. Connect with Chin Lin Pan on Twitter at @chinlinpan.